Wow, The Blot honestly can’t believe this beautiful The Legend of Korra “Korra and Asami in the Spirit World” Statue by Mondo is finally available for pre-order!!! This killer statue was first unveiled at MondoCon 2 three years ago, and The Blot has been inundated with questions about it by diehard The Legend of Korra fans ever since I first posted a photo of it on Instagram. The Korra fanbase is definitely all in with this epic post-series release! If you’re not familiar with The Legend of Korra, it was a Nickelodeon anime inspired animated television series that aired from 2012-2014 and was a direct sequel to the popular series, Avatar: The Last Airbender. 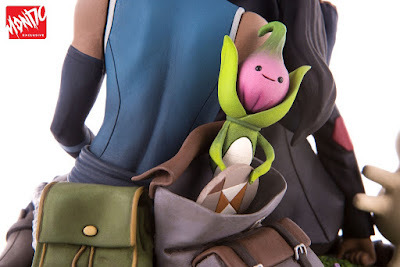 The show ended in a beautiful moment when two friends, Korra and Asami, realizing they have stronger feelings for each other, decide to take a vacation into the Spirit World and enter the realm joined hand-in-hand. With this Korra and Asami in the Spirit World statue, Mondo imagines the couple several days into their trip, taking in the wonders of the land, while a friendly leaf spirit joins them in looking on with awe. Along with the standard edition of this The Legend of Korra statue, Mondo is also releasing a Mondo Exclusive version in which the large plant in the back of the statue can be interchanged with Korra and Asami's backpacks, featuring a mischievous onion spirit (found in one of the bags) looking to play a game of Pai Sho. The Korra and Asami in the Spirit World statue stands 8.5” tall and is made of polystone. The Regular Edition The Legend of Korra Statue can be pre-ordered now at Entertainment Earth for $209.99 with free shipping here. 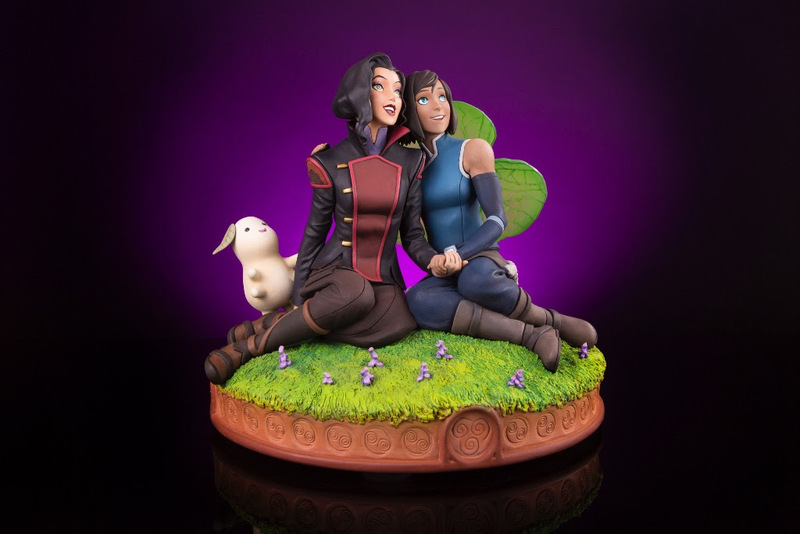 The Mondo Exclusive Edition Korra and Asami in the Spirit World statue retails for $215 and can be purchased at the Mondo online store from now through 12pm CST on Friday, March 30th.